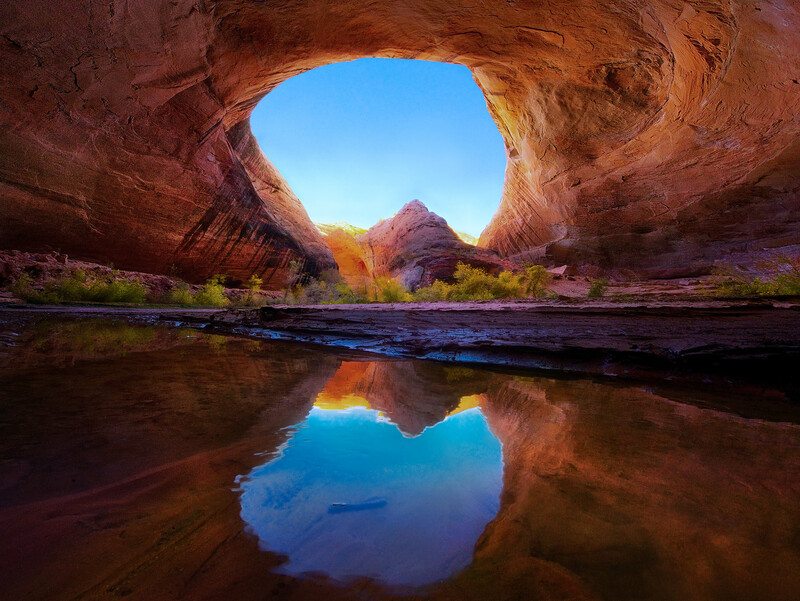 An enormous canyon alcove hundreds of feet high and around in Utah's Escalante Wilderness. I photographed it with an extreme wide-angle perspective blend for an almost 180-degree field of view. Photo © copyright by Marc Adamus.